Why Book Car Rentals in Melbourne through the Internet? As car rental industry has become competitive these days, most of the companies offer considerable discounts to stay ahead of the curve. When you look for a car rental company online, you can be sure of finding a service provider that provides discount on car hire services. If you are able to find such a company, you can be sure of saving quite a bit of your hard earned money. Sometimes, you may also get high-end and luxurious vehicles for the lowest rental. One of the major benefits of exploring internet to find car rental in Melbourne is that you can be sure of getting the best rates. In fact, surfing the internet provides you with the convenience and choice of choosing the right car rental as per your individual preferences. Most of the companies provide tremendous offers and discounts for people who make reservation on the internet. There are many car rental companies that provide special offers, especially for travelers who book cars for an extended period of time. In fact, you can save a great deal of money with a long car rental than a weekend or weekly rental. Earlier booking is certainly a great way of hiring a car at economical prices. The car rentals depend greatly on the availability of cars at the time of making the reservation. If you have decided to travel during peak season, it is better to book car hire in Melbourne well in advance. 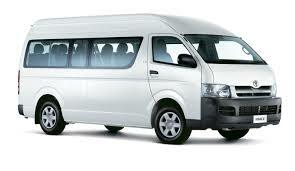 AUZ Rental Cars offers car rentals in Melbourne at great prices with massive discounts. With plenty of cars to choose from in different sizes and price ranges, you can be sure of finding the one that best suits your traveling needs.